Her eyes are so cute and I loved the way she talked. Then I watched Fifty; I absolutely fell in love with her anew, and even followed her on Instagram. Apart from her physical attractiveness, I love her versatility. She inspires me and challenges me in many ways. She has become one of the most loved actresses in Nollywood and she deserves it. Come with me, let me show you who this woman crush is. Omoni Oboli is from Mosogar, Delta state, Nigeria but was born and bred in Benin, Edo state. She is a graduate of French from University of Benin, Edo state. Omoni Oboli is an actor, screenwriter, producer, model, philanthropist, blogger, and a YouTuber. She has a YouTube channel where she shares healthy food tips, weight loss tips, and natural hair tips. Not only that, she has a clothing line called Omoni Oboli by AVE. And not only that, she’s also an author! Remember what I wrote about versatility? She’s a woman worthy to look up to, and that’s why I’m writing about her; so that whenever you want to be lazy about your dreams or you want to give up, you’ll (I’ll) read this article again and get to work! She got married Nnamdi Oboli, an Optometrist and an author in 2000. The couple have 3 boys. It’s so important to have a supportive spouse who not only believes in your dreams, but is secure enough to let you shine. 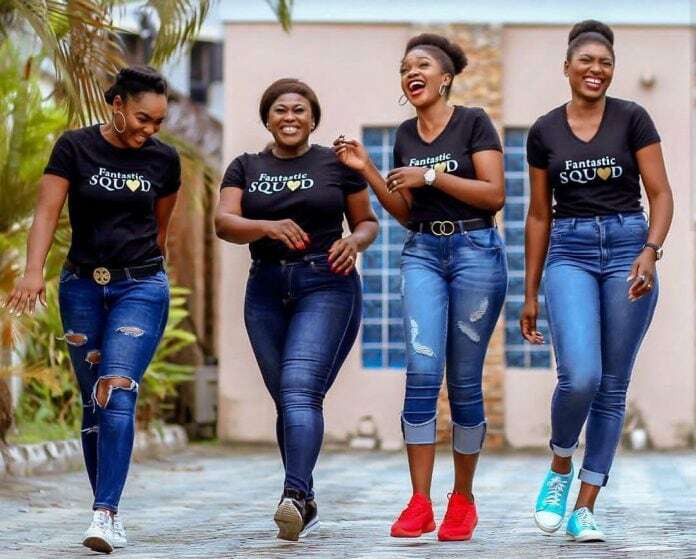 Ladies, take a cue from Omoni Oboli. Don’t settle for a man who is threatened by your dreams and abilities. Omoni identifies as a Christian. Her Instagram posts sometimes reflect her faith. Not just that, the banters they throw at each other on their IG handles will draw you in and make you crave the joy of friendship. Omoni Oboli is a naturalista. She shares her natural hair journey on her blog and on her YouTube page. She has influenced a lot of ladies to commence their natural hair journey. Even after three kids, Omoni Oboli has an enviable body. She doesn’t look her age at all. People wondered how she was able to achieve the feat, and our dear Omoni was kind of enough to share her weight loss secret with her fans on her IG page. If you envy her body, you should be ready to put in the same effort. No pain, no gain. LOL. Omoni is said to be currently one of the most influential and richest actresses in Nollywood. Wow. I love Omoni. She’s my Woman Crush. She inspires me. So versatile.